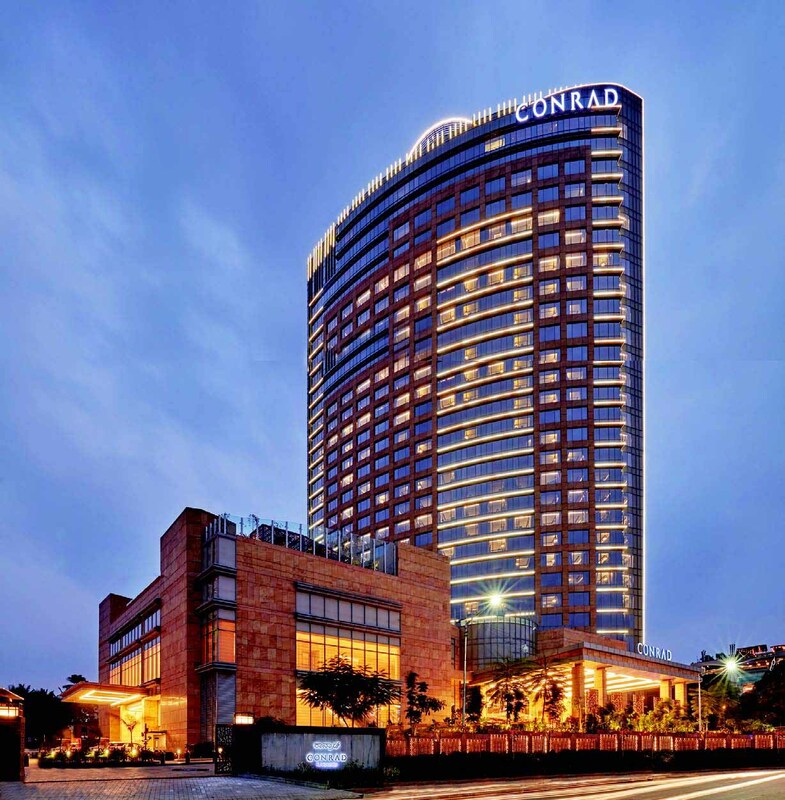 One of the tallest hotel towers in Southern India, the Conrad Bengaluru will soar above your expectations as well. Spread over 2.5 acres, the semi-circular building of concrete, steel and glass carries within itself 285 rooms spread across 24 floors, each offering a lovely view of the Ulsoor lake. Furnished with modern aesthetics such as ceiling-to-floor windows and cut-glass chandeliers, it’s also kitted out with the latest technology such as motion detectors that control lighting and air conditioning. Their mediterranean restaurant, Tiamo’s romantic ambience is enough and more for a meal by the calm and cool lake. Pro Tip: Stuck in peak-hour city traffic? You can effortlessly check-in with their app and have your amenities pre-chosen and ready for your arrival. There’s an easy-going elegance and old-worldly charm to Kolkata, that can only be experienced whilst staying at a Rajbari. One such restored (after six years) palace is the Rajbari Bawali, now known as Glenburn’s (That’s right, the Tea Estate Company) The Penthouse. Built in the heart of the city, the hotel offers captivating views of the city’s iconic architecture. 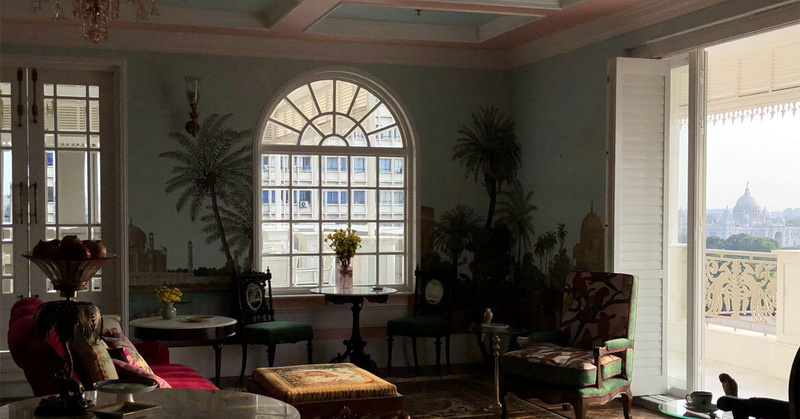 Designed like a cosy sanctuary, the 9-suite hotel is furnished exquisitely with antiques collected over history such four poster beds, wooden shutters, marble floors and art in hallways. There’s also a cosy library that can play host to small events and cocktail dinners; nothing quite satisfying to be surrounded by good books and good people, no? Pro Tip: With hotel’s ideal location, the city’s bustling hotspots such as Park Street and monuments such as Victoria Memorial are barely a walk away for historical tours. The Royal Bengal Suites have the best views of these. Peacefully cut off from Ernakulam and nestled in the southern end of the isle of Bolgatty, this 26-acre big and 264-room hotel is a perfect getaway from the bustling mainland of Kerala, being surrounded by the lagoon of Vembanad. It’s modern aesthetics run inside-out; from the steel and glass exterior to the warm and minimalist interiors, which mix in the state’s colonial styles as well. 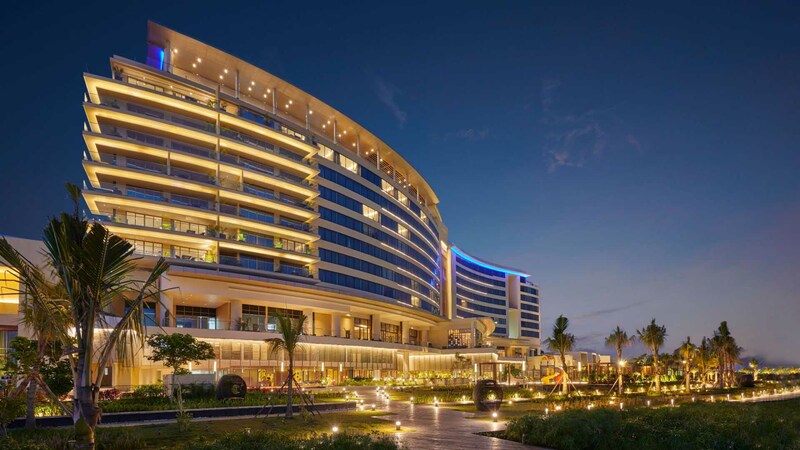 An outdoor pool, surrounded by lush greens, extends close to the edge of the backwaters is great for lounging about, while close by, the 1,30,000sq ft Lulu Bolgatty International Convention Centre is more than big enough for hosting indoor events, be it a conference or a wedding. Pro Tip: The hotel’s concierge has organised a variety of activities that’ll take you through Kerala’s culture and beauty; just ask and they’ll have it ready for you. The small haven of Hamira in Punjab’s Kapurthala was home to a beautiful ancestral house which was constructed in the 1950s, due to the business and familial alliance between Kapurthala’s Maharaja, Jagjit Singh and an ambitious young businessman, LP Jaiswal. Passed down from generations, this home is now Hamira Homestay, a royal and timeless 10-acre property, made distinctly in a Lutyen’s style with nine stays. It’s steeped in old-time elegance, with period furniture and art. And not to mention, the gardens — with its fountains and waterways — make for spectacular stroll. Pro Tip: Distilleries were eventually on Mahaja Jagjit’s land, and can be toured when asked from the hotel. Far away from the Indian mainland across the Bay of Bengal upon the Havelock Islands of Andaman and Nicobar, Taj Exotica Resort & Spa has opened its doors for us to bask in nature’s lap. 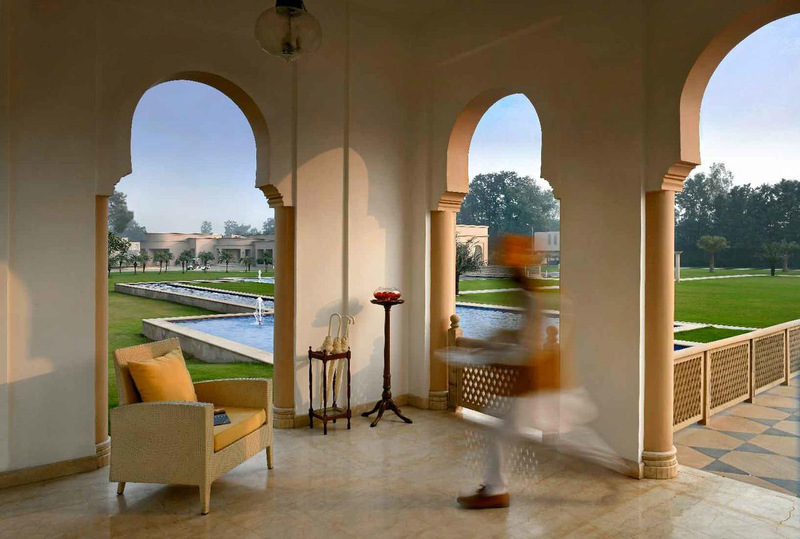 50 villas are scattered across the 46 acres of land amongst groves of palm and coconut trees. 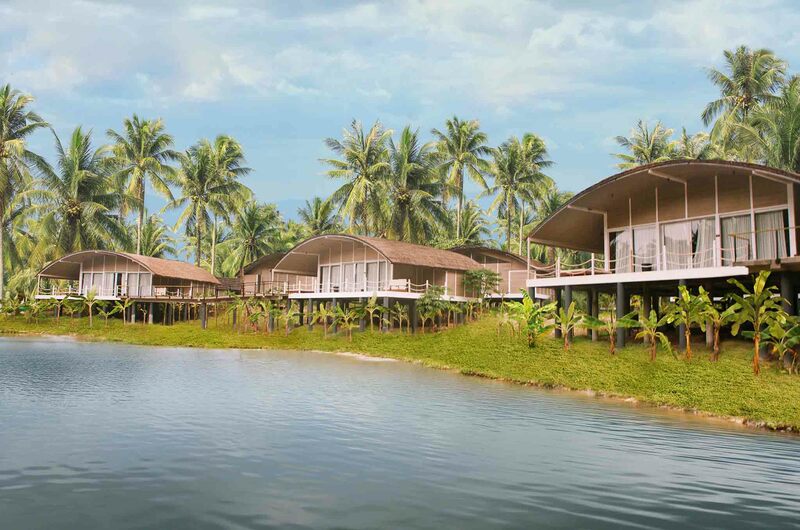 Whilst being sustainably resourceful with biogas facilities, rainwater harvesting and using solar energy, the resort tries its best to keep the island plastic-free and reduce carbon footprints. If there’s a time to indulge in luxury for a cause, it’s now and here. Pro Tip: Children will never be bored here; from trying to discover the island through outdoor activities such as scuba diving and fruit-picking to indoor activity centres, there’s lots to keep them occupied.